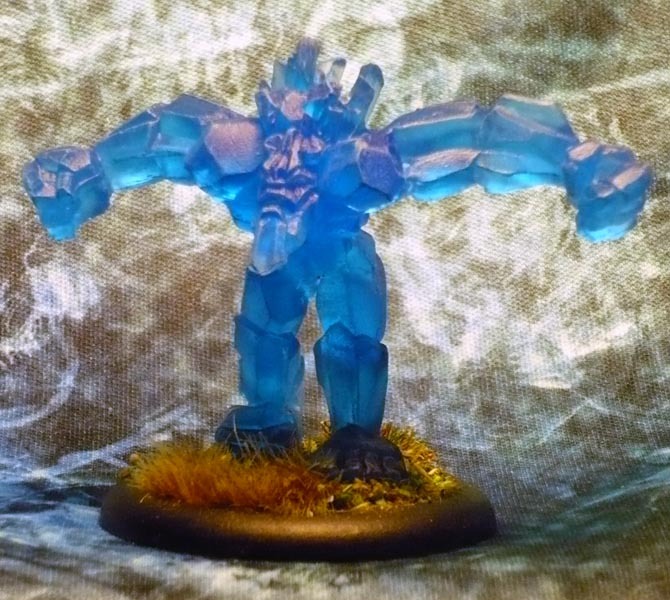 The mini is actually translucent! Second image is more backlit. As for all the translucents, the key is to give the models a wash and an undercoat with Army Painter Anti-Shine clear spray, which gives the paints something to hang on to. For this one I chose to lay off the inks and washes, and gave it a couple of quick drybrushes with light blue and lighter blue. Evil eyes and teeth in the lightest blue, base and done. 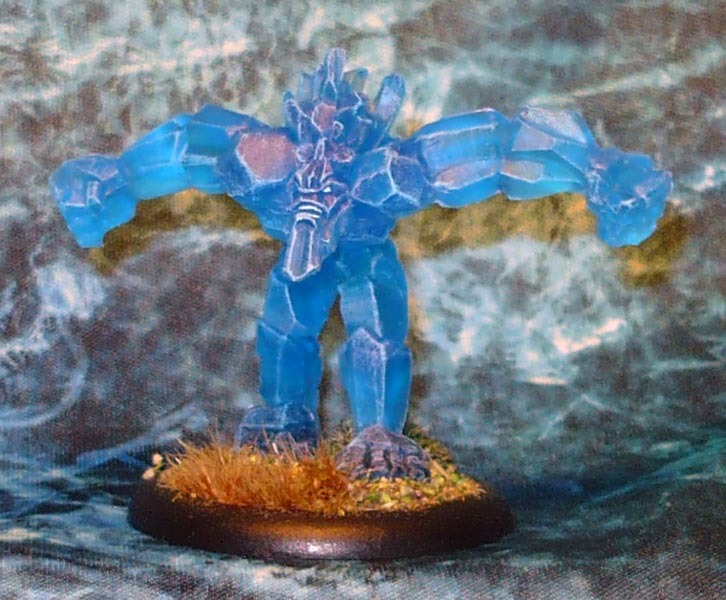 A nice Ice Construct for Frostgrave, or even some sort of summoned elemental demon. PreviousShadows of Brimstone: Night Terrors, again.